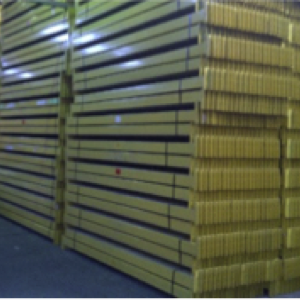 Timber decking Archives - Shelving & Racking Ltd.
We have large quantities of excellent quality used Dexion P90 pallet racking in stock. The beams are 2685mm clear entry (the space between the upright frames) and have a loading capacity of two tonnes UDL. The upright frames are 4750mm and can be braced to your required depth. All our beams come with locking pins and frames are supplied assembled and with footplates attached. We also have wire mesh and timber decking, support bars and column guards in stock and ready for quick dispatch. Call us now on 0800 612 3210 to place an order or send us an enquiry and we will get back to you quickly. Link 51 pallet racking is always a popular warehouse storage system and we have large quantities of great quality used materials in stock at the moment. Upright frames are up to 10,000mm high and can be braced to either 900mm or 1100mm (or other sizes on request) as required. All our used frames are supplied assembled and with footplates attached. 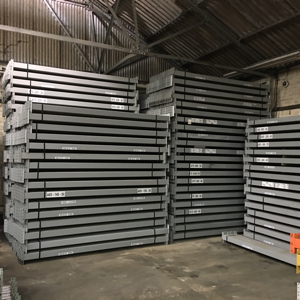 We have beams at standard sizes of 2700mm x 2t and 2250mm x 2t available, please let us know if you require different sizes and we will find a solution. All our used beams are supplied with beam locks as standard. We can also supply used open boarded timber decking to suit. Call us now on 0800 612 3210, or send us an enquiry, for a great price or to discuss your options. We can deliver to any UK mainland address. We have huge stocks of new warehouse racking, ready for quick dispatch to any UK mainland address. 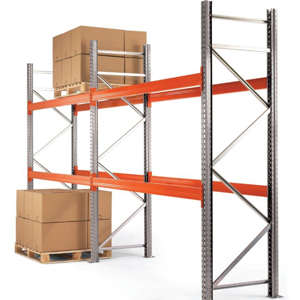 Our SpeedRack pallet racking is made by AR Systems and comes in a wide variety of sizes and duties. 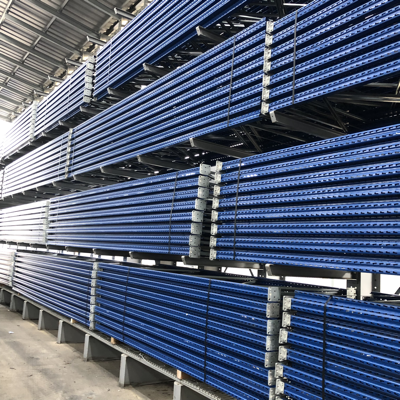 Beam sizes range from 1350mm to 3900mm and upright frames are available in heights up to 9000mm, making it suitable for all warehouse and industrial pallet storage environments. Beams are supplied with beam locks, frames are supplied with shims and fixing bolts. We can also supply weatherproof frames and beams for outdoor use. 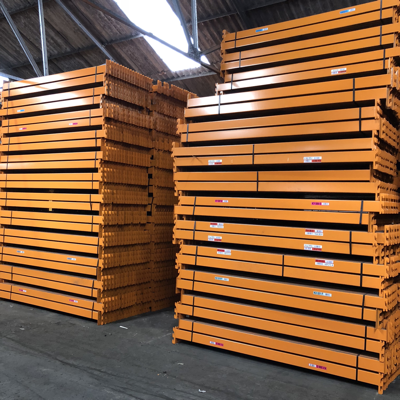 To complete your warehouse storage system, we also have an extensive range of accessories including column guards, wire mesh and timber decking, support bars and barriers. Lead time on new stock is usually less than 5 working days, so give us a call now on 0800 612 3210 to place an order or to discuss your options. Alternatively, you can send us an enquiry and we will get back to you quickly.